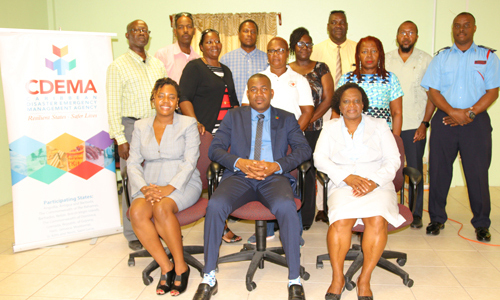 Bridgetown, Barbados, April 23th, 2018 (CDEMA) – During the 9th Meeting of the Technical Advisory Committee (TAC) of the Caribbean Disaster Emergency Management Agency (CDEMA), members endorsed the Revised Multi-Hazard Early Warning Systems Checklist. 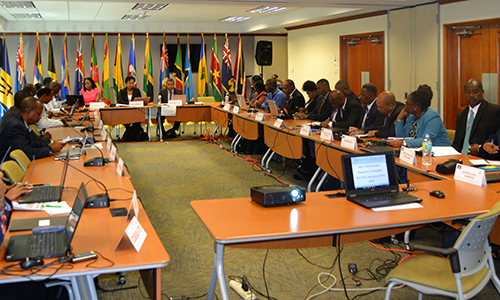 The TAC participated in its annual meeting, which was held April 16-20 in St. Michael, Barbados. Bridgetown, Barbados, March 29th, 2018 (CDEMA) - In an effort to strengthen the resiliency of schools and by extension the education sector in the Caribbean, the Caribbean Disaster Emergency Management Agency (CDEMA) is launching the Model Safe Schools Programme (MSSP) and National Safe Schools Programme Committees in six of the CDEMA’s Participating States. Port of Spain, Trinidad & Tobago, February 5th, 2018 (CDEMA) – Trends in technology, media and communications; Staying connected during a disaster; and Cloud technology were some of the titles of the sessions on day two of CANTO's 34th Annual General Meeting. The technology trend segment highlighted digitalization as a way of life and focused on Fibre to the Home (FTTH) as the way forward. Fixed wireless was also listed as a cost effective alternative. Bridgetown, Barbados, December 15th, 2017 (CDEMA) – Described as a stalwart and standard bearer in disaster management in the Caribbean, Brigadier General (R) Earl Arthurs was presented the 2017 CDEMA Council of Ministers and Lifetime Achievement Awards at the Closing Ceremony, Awards & Gala Dinner of the 10th Caribbean Conference on Comprehensive Disaster Management (CDM) held on Friday, December 8, 2017, at Melia Nassau Beach Resort. Nassau, Bahamas, December 8th, 2017 (CDEMA) – The Caribbean Disaster Emergency Management Agency (CDEMA), presented cheques totaling US $140,000 to the hurricane impacted countries of the British Virgin Islands (BVI) and the Turks and Caicos Islands (TCI). Both territories received US $70,000 each to assist with further relief and recovery efforts post hurricanes Irma and Maria.